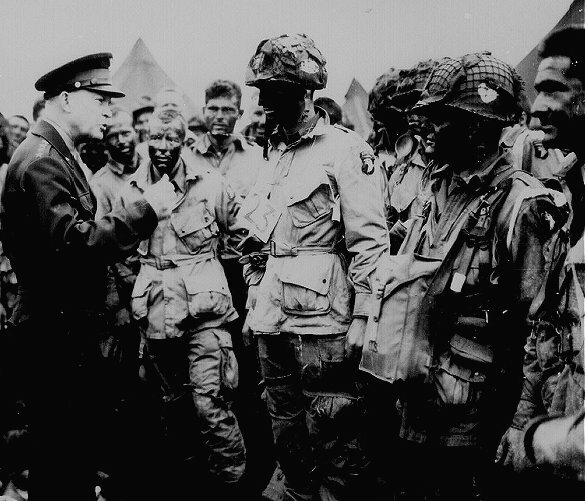 General Eisenhower gives the order of "Full victory - Nothing else" to paratroopers in England. 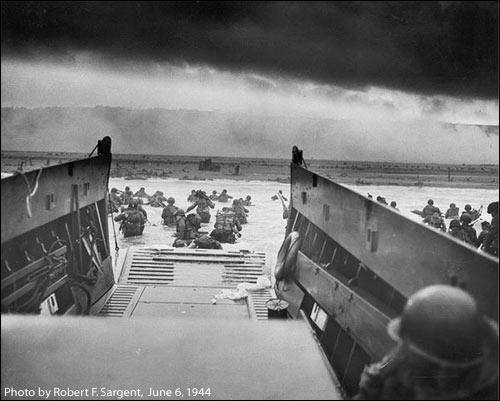 American soldiers wading through water into Nazi machine-gun fire on the coast of France. 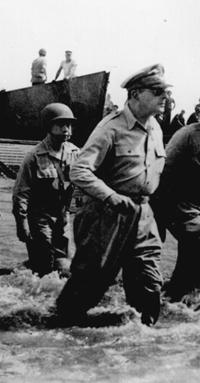 General Douglas MacArthur wades ashore during initial landings at Leyte, P.I.